The Halo series has its share of heavy military reference material. There is perhaps none more completely mystified on the human side than the Office of Naval Intelligce, or ONI (pronounced in fiction as “Oh-nee”). There is no in-fiction date of formation for ONI, but it is likely an extension of the current United States ONI, originally commissioned in 1882. 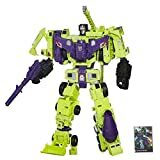 The modern US ONI has the stated purpose of tracking enemy and friendly ships throughout the globe in order to assess threats to the homeland, and is one of the oldest branches of the US intelligence community though handled by the armed forces. 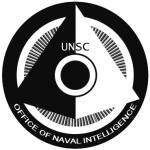 In the game series Halo, ONI reports directly to United Nations Space Command, which dispatches all branches of human armed forces. Its first major act as related to the events in Halo were in 2321, when ONI began recruiting for the Orion Project, taking the best and brightest soldiers from multiple branches and began training them on high risk operations such as counter insurgency, unconventional warfare, and black operations. At the height of the operation, over 300 troops were in active duty, trained in secret on the planet Reach. These soldiers were also test subjects for the latest miltary technology, having their bodies and mind augmented with everything from psychological tampering to cochlear implants to intensify hearing and retinal injections to multiply their line of sight distance. These soliders were later to be retroactively known as the Spartan I project, taking the name from the ancient Greek warriors. The first Spartans were assigned missions against other humans. With the race spread over the galaxy in multiple colonies, insurrections and separatists were not uncommon, rebelling against the growing military industrial complex that also allowed expansion to planets outside of Earth possible. The Orion Project was classified top secret by ONI’s Section Zero Internal Affairs. Even well after Spartan IIs became well known in the UNSC ranks, the Orion recruits were unknown by even high ranking officials. The Spartan II Project took the lessons ONI learned in Orion to a much more drastic level. Subjects were not military personell, but children who were deemed suitable for training by a DNA test that was administered in secret when they were vaccinated. Though ONI initially requested 300 participants (see again the Greek Spartans), by the time the program began 75 were chosen. 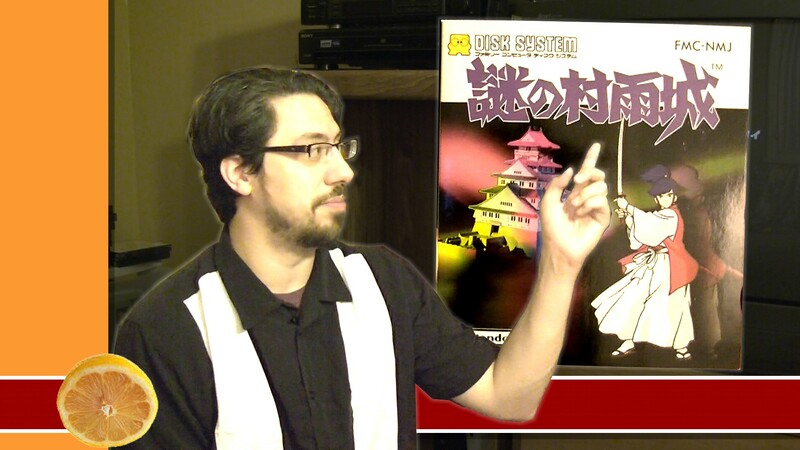 The children were kidnapped by ONI agents and flash cloned. Intentionally, the clones were returned and died soon after due to complications of the cloning process. They were stripped of their family names and instead designated by their first name and service tag number, such as Jorge-052. 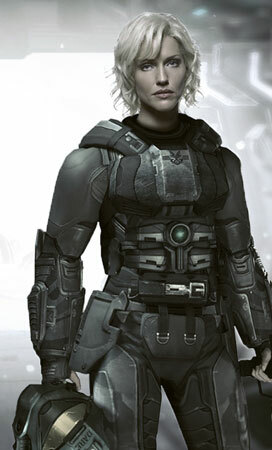 The Spartan IIs were trained by ONI on Reach much like their predecessors. Dr Catherine Halsey oversaw their training, and several Spartans referred to her as “Mom.” Because they gave up their childhood and began the augmentation process early in life, their potential was many times greater than any enlisted marine trained in adulthood. Less than half of those operated on survived the process, with many going into cryo-freeze to be thawed out in the future when called upon. The war with the Covenant changed the direction of the Spartan project completely. Instead of being dispatched to quell rebellions, these super soldiers were now directed at defending humanity against an alien threat that far exceeded their capabilities. The Spartans were augmented further with tech stolen from the Covenant and reverse engineered by ONI, resulting in the MJOLNIR armor. 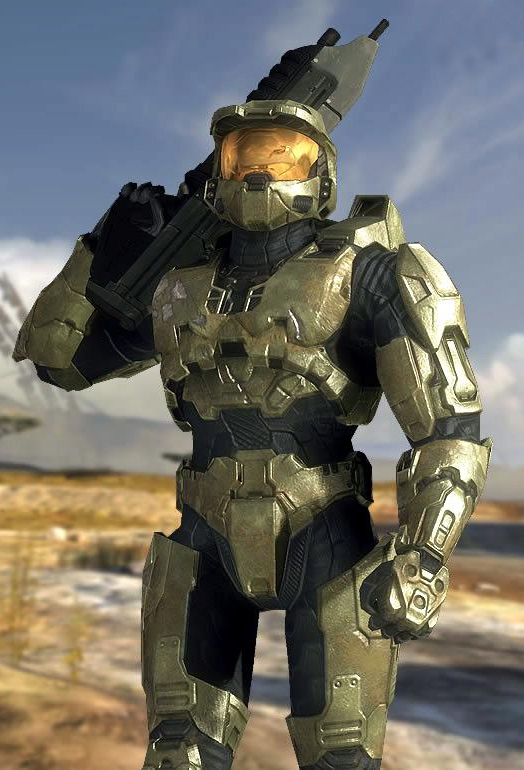 The most famous Spartan-II to wear this armor is John-117. One of the more notable elements is a variation of the Covenant energy shields, used to protect their ships and their Elite Sangheili soldiers. Energy shields, combined with traditional armor and the increased stamina of a Spartan II created a virtually unstoppable one many army. As Covenant invasions rarely ended in anything less than a total loss of all human life and assets, In order to boost morale, ONI Section II Propaganda released information about the Spartan IIs as humanity’s best hope. The Spartan II project, in spite of its terrible casualty rate and enormous cost was considered a success, a second class was commissioned. ONI beleived in the Spartan project by could not justify its costs any further. Colonel Ackerson began Spartan III, which chose orphans of the war and trained them. Offering much less technology, they enlisted more candidates, effectively creating large teams capable of suicide missions with minimal cost to the UNSC. In 2552, as the Covenant invaded the ONI stronghold on Reach, all active Spartan II forces were recalled to the planet. Nearly all were lost, with the notable exception of John 117, who was frozen aboard the Pillar Of Autumn. Dr Halsey called upon the Spartan III Noble Team to deliver an AI the contained all the knowledge extracted at ONI Sword Base on Reach before it was destroyed by the invasion. 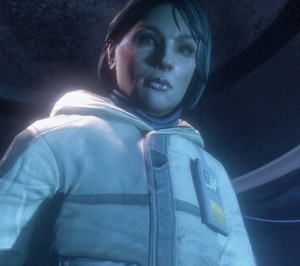 After Reach fell, ONI officer Veronica Dare returned to Earth. As a Section I officer, she enlisted a squad of Orbital Drop Shock Troopers to assist her in a recon mission during the invasion of Earth. Its stated purpose was the board and disable a Covenant cruiser over New Mombassa, but the actual mission was the secure the city’s superintendant AI, Vergil. After the Cruiser made a slip-space exit, creating a huge explosion, the team was scattered. Eventually they regrouped and Captain Dare made an extrordinary find in the AI Data center, a Covenant Engineer. Engineers were found to be like living computers, able to assimilate data from any source with their own. The Engineer is a bio-technical product of the long since deceased race The Forerunners. Unofficially captured, the Engineer defected and was last seen serving ONI everything it knew about the Covenant’s plans for eliminating Human life and activating the Halo rings. The events of Halo 3 follow shortly after, which is the last major canon event in the Halo series. With the vast potential of the Engineer on their side and the Covenant threat eliminated, its unknown how ONI will proceed.